Medal….World Champion ….International Swimming Hall of Fame Honoree…. These are just some of the amazing accomplishments of Becky Dyroen-Lancer, one of synchronized swimming’s most decorated athletes. We could easily fill up an entire year’s worth of blog posts conveying all that Becky knows and wants to share with the world about synchronized swimming. But for this blog post, as we head into this season’s final championship meet, we’ve simply asked Becky to reflect on synchronized swimming as a sport of choice for young girls and what they can expect to get out of it. We caught up with Becky at the 2014 Age Group National Championships in Seattle, WA. Although she retired shortly thereafter as Head Coach for Synchro Gainesville Gaviatas, she continues to work with them as a consultant, and she coaches clinics around the country. Interested athletes can train with her this summer at the 2015 East Coast Synchro Camp, July 19-24, at the Fork Union Military Academy in Fork Union, VA. Click here for more information, and click here to register. ANA Synchro: What do girls get out of synchronized swimming as a sport? Becky Dyroen-Lancer: I grew up in San Jose, CA and swam for Santa Clara. We trained to win everything. I was raised that way, and you just do it. Coaching a grass roots team today, however, has given me an interesting perspective. I realize there are lots of different pathways and different types of synchronized swimmers. I feel like synchronized swimming is a training ground for life. That’s how I approach it with my swimmers. ANA Synchro: How is it a training ground for life, given that few athletes will work in the sport after high school and college? Becky Dyroen-Lancer: Synchronized swimming takes dedication and a lot of multitasking. It is just one of many things they’re doing in their successful lives – high academics, synchronized swimming, band, drama, volunteering – all the different things that fill up their transcript for college. And many young people don’t get put into high stress situations like a big meet in their regular lives. School doesn’t really create an equivalent unless you are in really high academics. But even if you have to prepare for and give a big speech, or present a paper, it’s different than preparing for a competition and performing in the spotlight. Synchronized Swimming - the ultimate team sport! ANA Synchro: Synchronized swimming is often called “the ultimate team sport,” so teamwork has to be on the list of life lessons as well. Becky Dyroen-Lancer: The biggest thing in terms of training for life is how to become unified with the multiple personalities that a team brings. Having to work in a team for synchronized swimming is different than getting a partner for a science fair. You have to figure out how to really work with people, not just who’s going to do the most work on the science fair project to get the better grade. You have to figure out how to play to different strengths and how to get along with different personalities. ANA Synchro: How does the added stress from a competition play into the teamwork aspect? Becky Dyroen-Lancer: Different years and different seasons will bring different personalities to the team, and you have to figure out how to deal with that. And how do you deal with that when it’s all on the line at a competition? Some girls handle this naturally, and others don’t. Learning from the experiences at a meet can really give the girls perspective and different life qualities that they can bring as they move forward and become successful young women. 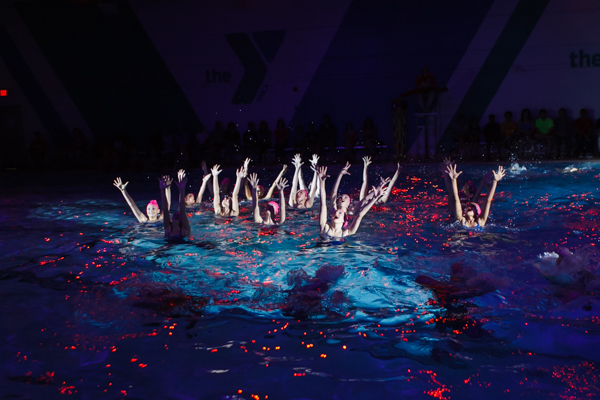 Amazing friendships and connections are made possible through synchronized swimming. ANA Synchro: Synchronized swimming is mostly female. How does that affect the overall life experience the athletes will have? Becky Dyroen-Lancer: Being a mostly female sport does give it a different kind of dynamic than multi-gender sports. You have to really focus in a different way and enjoy having all your female friends and teammates. It’s different than the distraction of what I see in other sports. Some of the friends I made when I was going through the age group program, I am still super good friends with so many years later. And I still keep in touch with them every week. So these are my lifelong friends. There is just something about having that support of girls. I see it more now with my coach’s eyes – this sport brings together girls, especially in middle school and high school, who may not have naturally become friends. No matter how much you try to avoid it, there’s always going to be different groups and cliques, and juniors aren’t necessarily going to hang out with seniors. 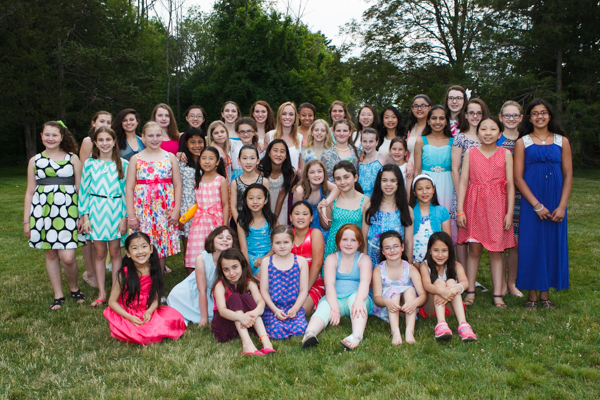 What synchro does is bring all these girls together that have a similar strain of personality, or likes or interests, and they’re able to make a really amazing connection – a connection which they may not have made in regular high school or middle school life. And I think that’s great! ANA Synchro: Do you have any final words for girls who are considering synchro as a sport or parents whose daughters have chosen this sport? Becky Dyroen-Lancer: What I’ve found is that the people who get involved with this sport are the ones who are very intelligent. We tend to get a very intelligent batch of girls! I don’t know if it’s the multitasking or the different elements that are involved with synchronized swimming, why it draws this type of person, but it draws a very intelligent group. It draws highly creative group as well. It’s funny because some girls are creative in an artsy way, but other girls are very detail oriented. Synchro can bring out the natural abilities that all these girls have. ANA Synchro: It must be a challenge then as a coach, to help the girls balance the sport with their academics. 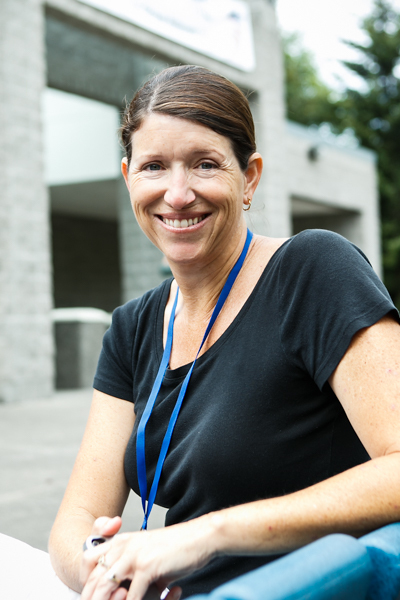 Becky Dyroen-Lancer: Nowadays, it feels like it is so important to be fully successful in every area that you go into, and I don’t remember that so much during my era. Today, it’s like you need to be successful at synchro and all the other clubs and sports you’re in to get into the university you want. So, I do find it tricky to keep the girls in the sport after sophomore year. So many high schoolers don’t think they can do a sport and academics at the same time, and I totally disagree. I believe sports help the academics. I see people who have left synchro and aren’t necessarily getting better grades. They might have more time to study, but they’re not necessarily a healthier person. I believe most swimmers could do both if they really have the desire to do it. ANA Synchro Head Coach Leah Pinette surrounded by athletes she is leading on the journey to build amazing life qualities and experiences through synchro. ANA Synchro: And, as you pointed out, there are lots of different pathways and different types of synchronized swimmers. Becky Dyroen-Lancer: It’s nice to be able to see that there are multiple ways that you can be successful in this sport. Just because you didn’t get a gold medal at a meet doesn’t mean you’re not a success. If you finish up this sport with some really amazing life qualities and experiences, then that’s a successful journey. ← A Year Abroad for Study & Synchro!